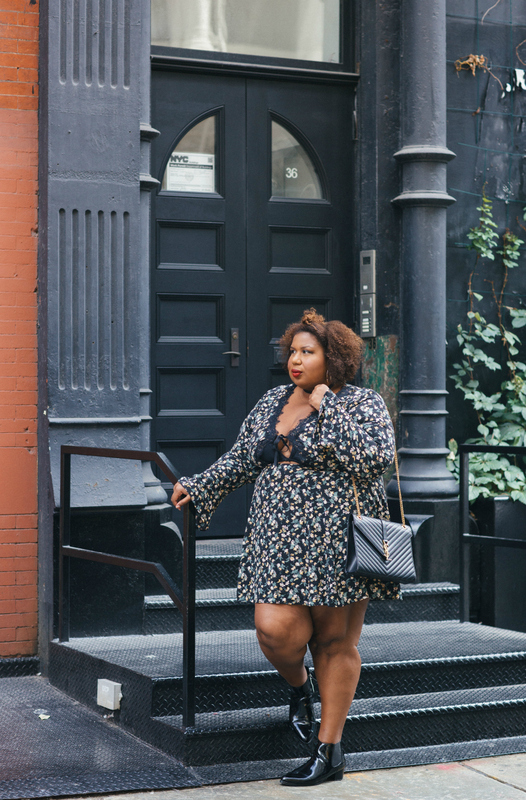 It's official, you can call dark florals an obsession. Not sorry! 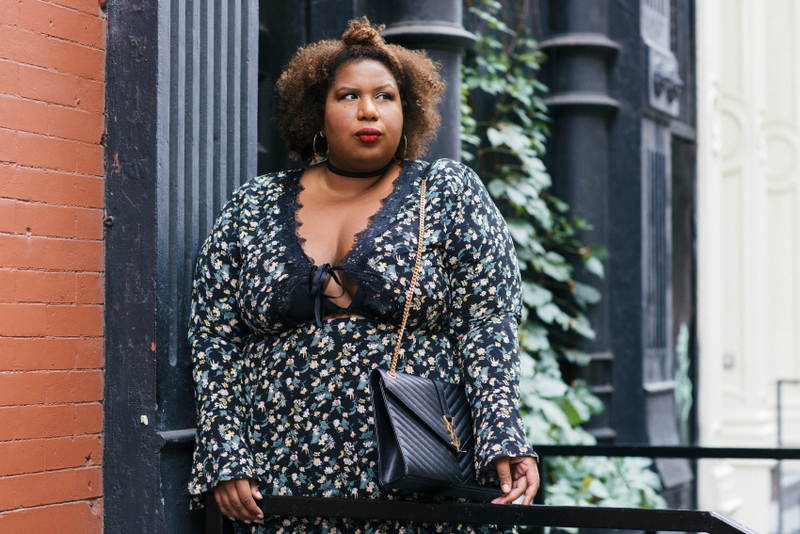 Dark Floral Cut-Out Dress | Patent Booties | Saint Laurent Bag | Fishnet Choker that won't choke a chubby neck, you can also try these with an adjustable closure. I feel like I've been gone the entire summer so I was very much looking forward to relaxing and staying in the city this past Labor Day weekend. An empty New York City is such a treat! It kind of makes you think wow, if only half of the residents of this great city would just move...life would be incredible. The tiny island is much better suited for less people. Don't get me wrong. I LOVE the hustle and the energy here. There's just something about being able to roam around Soho with an average number of folks, some local, some tourist - rather than an actual mob bumping and shoving to simply cross the street. Let's just call it room to breath! 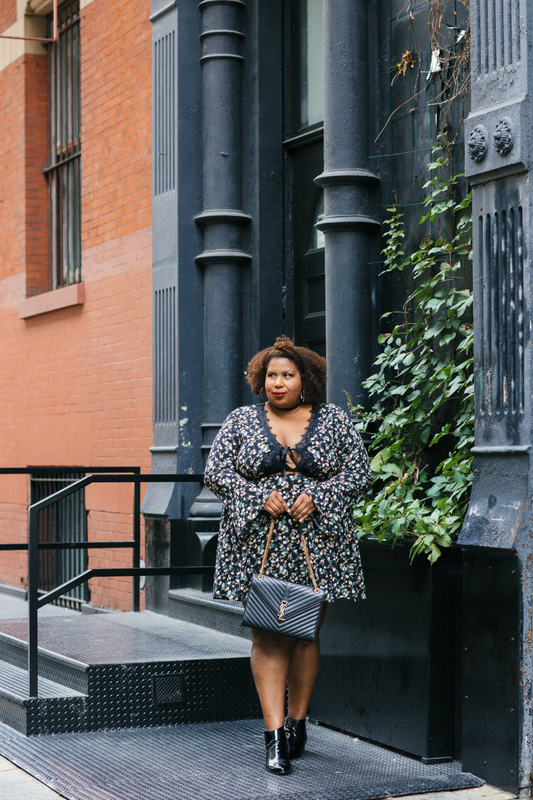 So, on this lovely day I decided to live out all of my 90's dreams in this Alice & You dress. I'm 5'10 wearing the size 24 and it fit wonderfully. It is a bit short so if you're a tall girl it's definitely a mini style. Shorter girls looking for an actually short style (I know that can be tough sometimes!) this is perfect for you.